There is a reason why the hails Colorado as one of the most bicycle-friendly states in 2016. It has amazing biking trails, which it owes to the presence of the magnificent Rockies, which cut across the state. The diverse terrain are out to grab the attention of bikers, newbies and pros alike. Check these places out next time you need a cool place to ride mountain bikes. This small town is known as a famous destination for mountain bikers. Even ordinary hikers love this humble town located between two equally famous towns Gunnison and Crested Butte. Near Almont is Doctors Park, where you can course through the famous 19.5 mile trail. Home to roughly five thousand people, this town is popular for its winter ski resorts and summer biking trails. Lake Dillon, which sits nearby, offers an excellent venue for boating and rafting enthusiasts. The Colorado Trail is also near Breckenridge. This trail is popular among biking enthusiasts all over the country and is visited by tourists every year for its awesome opportunities for both beginners and advanced riders. It stretches for 500 miles from Denver to Durango. It passes near Breckenridge, so those who are around can easily get access to this amazing trail. Prepare to see magnificent views of the Rocky Mountains as you ride along. Bikers love Fruita not only for its grandeur for its popular biking trails. This town basically has a dry climate, but which lends itself to pleasant outdoor activities. In fact, road biking can be fun in such a sunny town. More adventurous bikers should go see the North Fruita Desert trail system and Kokopelli Trailhead region. Then you have the Zippity Do Dah’s 18 Road Trail, which gives you access to the an awesome terrain that you shouldn’t miss if you’re in Fruita. According to many people who have coursed through this trail, it’s best to be on it during the late hours of daylight, when the sun casts a golden glow on the landscape. The state capital does have something to offer for mountain biking enthusiasts. Head west and see the famous Colorado Trail, which has been mentioned earlier. As you know, this trail passes by a number of towns in the state. You may want to start off in the morning to avoid thunderstorms that usually happen in the afternoon. Start the adventure on Kenosha Pass. It’s 90 minutes away from the metropolis. Enjoy views of aspen groves and lush pine tree forests. Then kiss the sky at Georgia Pass summit. Needless to say, Denver is a great place for mountain bikers. It offers a lot of recreational opportunities for regular cyclists. The city’s main roads opens up to hundreds of trails for mountain bikers. The wildflower capital of Colorado is a destination for numerous outdoor activities, such as skiing and mountain biking. A well-known singletrack in the town is Trail 401. If you’re a mountain biker and you’re in Crested Butte, you ought to check out this trail. Head off to Copper Creek trailhead and course through the dirt road to Schofield Pass, from which you’re only a little over a mile away from the breathtaking alpine meadow. Then brace yourself for an adventurous way down. It’s an ecstatic ride! There are many other towns to check, such as Aspen, Salida, and Durango. In fact, a lot of places in Colorado offer unique opportunities for mountain bikers and cyclists. I wish I could drink this image! As I am currently traveling abroad, I am starting to feel a bit of home sickness because it is starting to be that crisp fall weather that I love, but there is one teensy little problem that I am having. I cannot find anything that is pumpkin spice over here! I mean, c’mon, I thought that it was understood by everyone all over the world that you cannot have fall without all things pumpkin spice. Normally, I am drinking my pumpkin spice lattes at Starbucks and enjoying things like pumpkin spice pancakes, waffles, muffins, donuts, etc. at local restaurant and bakeries. But over here? Nothing. Nada. Zilch. And it is making me so sad! Sure, I can get things like pumpkin soup and pumpkin ravioli – but neither of those things are the sweet tasty goodness that is like my religion each fall! I mean, it is practically insanity that there are no sweet pumpkin flavored treats to be found at any of the local shops here. Europe needs to get with the program, right? I mean, how do all these Europeans live like this each autumn? Do they even realize what kind of greatness that they are missing out on? And how can we deal with the dismissal of summer without pumpkin spice coffees and treats? Will we just be depressed from now right on through Christmas? I know what needs to be done here. 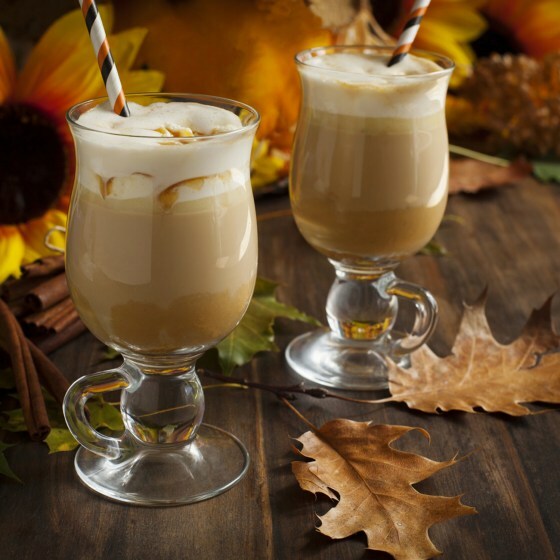 I need to look for a shop that sells American foods and see if they happen to have the necessary items that I would need to make something pumpkin spice flavored – be it coffee or a yummy little treat. Otherwise, I just might go crazy without it. And what about apple cider? I haven’t seen any hot spiced apple cider on any cafe menus either! Oh, the agony. As someone who grew up in the South, I have a lot of friends and family who believe that religion – specifically Christianity- is the only way, no matter what you are talking about or what the scenario. What I find most interesting about them, and people like them, is that they fail to recognize when this thought pattern actually is destructive in ways that hurt others. It is almost like is does not matter to them if they are hurting someone else as long they are are following the Bible because if the other people getting hurt were following the Bible then they would not be in their firing path, so to speak. This is really sad to me because why can’t we all just focus on humanism first and then let the chips fall where they may. And I am not saying that people cannot have their religion, but that I just wish that they would take stock of the times when they are using it as an excuse to hurt others. Instead, we should all place the most value on human beings on focus on being better as humanity as a whole and not just one religion and its followers being better than another’s. The American Humanist Association focuses on this idea of being good people without needing a God to scare us all into being good out of fear of going to hell or the like. I mean, I guess part of the problem here is that not ALL people are intrinsically good at heart, but I do believe that there is a strong leaning for most all people to be good. Sure, there are the few that need scared by organized religion to be good and those that nothing can scare into being good – but those are the minority. And if we all worked together to focus on all of us being better together, then imagine the things that we could do. Greatness. That is what could happen. I know that this sort of thing will never be the norm, but it is a good thing to dream about sometimes, huh? I have a friend who decided that it was a good idea to have a bit of an affair with a married man. How I have managed to be friends with someone who could partake in such despicable behaviour is really a puzzle to me. What is worse about this particular event is that she has also decided to become friends with the wife of the man she is having the affair with. To me, this is some truly twisted behaviour because not only should you feel terrible about cheating with someone who is married but to go and be friendly with the wife of that person is even more reprehensible. When asked about this atrocious situation that she has gotten herself into, she simply responded that she has no regrets. Zero. That is correct – where she should feel hella guilty, she feels nothing. It is almost like she thinks that she was owed this guy by the universe, nevermind the fact that she is acting so horribly as a human being. What is most interesting about people who act like this is that you just know that if the tables were turned that she would not be very happy if she discovered that the new friend she’d made was sleeping with her boyfriend behind her back – and was doing so before they became friends. The interesting thing about this scenario for me is that it shows just how important it is that people feel some guilt when they do terrible things. I mean, what kind of person can do these things and not feel even an ounce of guilt? I mean, really? After looking into this sort of thing online, it appears that a narcissist is the type of person who feels no remorse for their actions that hurt people, but she really does not fit the rest of the traits of that type of person. That being said, going forward I will make sure to only associate myself with people who are capable of feeling guilt when they do terrible things – even if it is only after the fact. If someone had told me that there is a desert in the state of North Carolina, then I likely would’ve laughed hysterically. But it turns out that it is true! Recently, I took a little trip over to the Outer Banks area of the state just to check it out since I’d never been. And while I was over there, I discovered that there was a sand dune park. It is actually a state park and it the tallest natural sand dune system in the Eastern United States. How freaking cool is that? It is free to visit and wander around, so I did just that. What is really weird about it that you have this desert just sitting near the coast of North Carolina. I mean, who thinks of a desert when they think of North Carolina? I certainly know that is not where my mind goes, well, I mean now it does, but not before then. The interesting thing about visiting the sand dune state park in the Outer Banks is that the temperature on the sand dunes is a good 10 degrees warmer than away from the sand dunes. So, you have to really plan your visit there when it is a little cooler so that you do not get scorched just trying to check out this super cool desert near the sea. Check out the photo below of some other people visiting the sand dune park. It appears to be taken sometime around sundown, so it looks pretty cool. It is still hard to believe that this desert is located in this southern state! Last year, I made it up to Washington DC to see the famous cherry blossoms in bloom at the Tidal Basin. It was something that I’d wanted to do for a while and it was totally worth the trip. Next on my list is seeing them in Philly as they have a Japanese garden with them that looks pretty cool in the photos. So, I am hoping to see that this year when they hit peak bloom. And up for next year, hopefully, is going to Japan to see them in bloom in Kyoto and other Japanese cities. That will the the icing on the cake right there. Now what is interesting is that I have begun to notice that there are some in bloom where I live here in Raleigh. They are in bloom right now! But the ones in DC and Philly have yet to hit peak bloom for 2014. Taking notice of all the local blooms made me realize something. There really is beauty all around you – you just have to take time to look around and notice it. It’s like little pockets and moments just here and there, and if you’re rushing around then it is easy for you to miss those moments and pockets. Instead, they just blend in with everything else around you as part of the blur and rush of everyday life. Next time you are out and about, I urge you to take a moment and really look around you and see what beauty might be hiding amongst the blurs, just waiting for you to take notice of it. Once you see it, it will change your day and maybe even your whole way of thinking. I recently went to my first concert at Madison Square Garden, except that it wasn’t in the big arena that you see on TV. Instead, it was at the Theater at Madison Square Garden. Yup, a much smaller venue, but better for concerts than an arena if you ask me. Well, getting into MSG was quite the experience. It was much like going through airport security! Before you can walk up the steps to enter the building, someone asks you to take off your hat (it was cold when I was there) and unzip your coat. Then, you have to spread your arms out, like at the airport. They wand you from the front and the back. Then, you get to go through the doors. Once inside, someone has to look through your handbag. After that is done, you get your ticket scanned and get in line to ride the escalator up to enter the theater. When you get to the top, you walk down a long corridor where an employee is yelling for you to stay to the sides. At the end of the corridor is a snack bar, restrooms and entrances to the theater. The theater itself is nice enough, seating is comfortable enough. If you are lucky enough to be seated on the floor on the stage left area then you are super close to the lower restrooms. This is great for quickly taking a bathroom break and not missing anything on the stage. And you just might see one of the performers over by the restrooms since they seem to use those ones. That is a kind of cool part of this theater. And when the show is over, they open the side exits and you get right out on the street instead of having to walk back through the venue, which is nice. The worst thing about seeing a show here are the prices at the snack bar. You have to pay $5.25 for a bottle of water AND they keep the cap so that you cannot reseal it! So, you have to hold it the entire show or set it down and hope that no one kicks over your expensive bottle of Dasani. I prefer other concert venues, but I wouldnt be opposed to seeing a show here again if I had to do so. Want to know the concert that I saw at the theater? Check out the video below for more info!